It's that time of year when the dahlias are in full bloom. 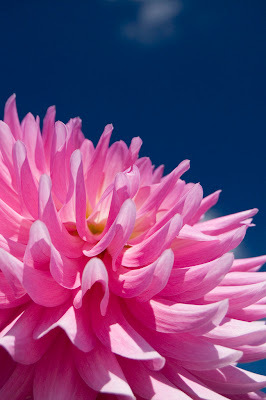 This shot was taken at the Swan Island Dahlia Farm near Canby, Oregon last Saturday. The place was huge! We only managed to get a fraction of the way through the farm before getting hot and thirsty. The entire place was in bloom too. Quite a sight to see.